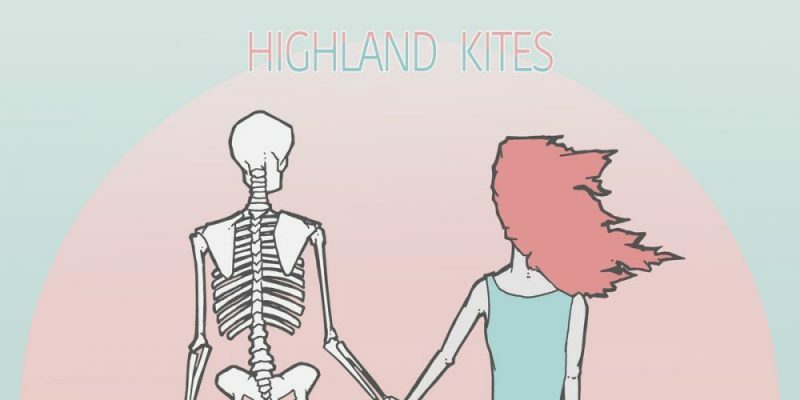 If you’re searching for a soundtrack to your current way of life that is loaded with inspiring energy and deep thought, or if you simply love to discover beautifully refreshing new music, Highland Kites’ latest collection I’m Not Weak is a must. Nothing To Say is the opener – the sound is laid out as floating somewhere between folk and indie rock, with a touch of synth-pop, and with an absolute emotional depth that leaves you hanging on every word. 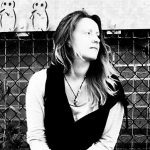 The personal touch is endearing and greatly appealing, not apologising for its own humanity – Marissa Lamar, the songwriter, takes the reigns entirely and leads with a heartfelt honesty that is all too often missing from modern music. To let the realness come out in the art and not edit it down to those lines that make more sense or that seem less unusual, is to offer something truly unique. It’s a powerful way to start and may have you listening two or three times over before you even move on through the EP. The instrumentation has been crafted with an almighty relevance to the cause and a well matched level of passion. Monster settles the ambiance down a little; a gentle riff, a peaceful yet thoughtful leading vocal performance, a string of poetically reflective lyrics. The space surrounding the sentiment of the song creates a different kind of arena to the opener, allowing you plenty of room to consider the story line and to relate your own thoughts and experiences to what’s being expressed. Temporary Life veers more strongly in the folk direction, the strum of the acoustic guitar comes through as fairly organic, unaffected, though the riff that follows, and indeed the leading vocal, bring back that wide wash of reverb that raises the music up above your head a little. The personal chaos of the lyrics comes to be a familiar thread throughout these songs, the unwavering self-awareness and consideration of one’s place within the world, the journey through the mind with all of its unpredictable pit stops. The lyrics provoke thought, and the specific artistry of the instrumentation creates the perfect soundscape within which that provocation can fully take effect. There’s a returning sense of indie-rock epicness drifting as an undertone to You’ll Never Know. The snippets of bass, the high end of the guitar riff, the intimate, one-on-one nature of the lyrics, the drama of the building drum-line, the somewhat retro instrumentation that comes into play just past the half way mark. The rock element never completely hits, but there’s a consistent feeling of being on the verge of something big, which in itself is a fairly inspiring and motivational thing to witness. The final song of the release is the title track I’m Not Weak, a piece that presents a final stroke of creative musicality in terms of the simple yet effective riffs and the once again dreamlike, now familiar ambiance of the mix, and the fact that the music exercises its right to completely override all of this intermittently as the song’s changing ideas take hold. It’s peacefulness that is swiftly blown out of the water, and this final few minutes of lyricism and music make for a hugely atmospheric and memorable listening experience. The incoming distortion, the rising intensity of the lyrics and the vocal performance, all add to this sense of overcoming, of increasing strength, of being free. There’s an incomparable realness to all of this that is expressed with complete individuality, and that makes it something totally special. Well worth taking home. Download the EP via Bandcamp. Find & follow Highland Kites on Facebook, Twitter & Instagram. Visit their Website for more information.